Since the last Aunt Leanne video was such a hit, here is another one for your viewing pleasure. Please note that this was not scripted; no one prompted Leanne to sing. This is simply a random moment captured while we were out shopping, waiting on Mama Hop. In case you're wondering (I know I sure was), Leanne won some sort of stuffed chicken playing the carnival games at the fair. She put it in her closet, intending to give it to Josie for Christmas. Boo! :( It says the video is private. Thanks, Amy. I think I fixed it! I was wondering about that chicken! Ha! Love it!!!! Josie has some great words too! I can only imagine those two together in a few years...that will be great footage too I'm sure! I haven't been by in awhile - I read several blogs to catch up and oh how I love your crew! Lol I'm totally coming to hang out with you guys sometime!! Yeah, Josi for your words. Leanne, your singing was great also. And Merryn, you rock the stroller like no other. Looking good Family:) Keep Smiling! Love it! They are all too cute. Love the singing and Josie talks so well! Looks like things are always fun around there! I think my favorite part was Mama Hop's stop back by the stroller...completely unaffected by the random caroling and squawking. Because late summer caroling is nothing unexpected and where's my @#$%* purse? I kinda picture that being me in a few years...but I won't be that put together...and will probably be wearing my underwear outside my clothes and chain smoking. Have to go back and watch it again... "Was it my singing?" Can't stop giggling. Josie, can you say book? 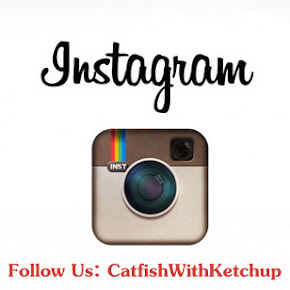 Josie, can you say catfish with ketchup!